There are some books that need not be read once or twice but scores of times. There are books that simply decimate you, that don’t need our recommendation but that judge us. There are books that one would not like to part with even in grave. There are books that need certain moral and spiritual qualifications to be understood, or we would fail to drink from the fount of wisdom. There are books that must be in the curriculum of life’s education. What is the book that is most urgent reading for anyone who cares about higher things of life including wisdom and ethics? I argue it is, first of all, a divine book. Let us try to read one today. Imagine any reason for praising a work or at least paying attention to it and one may find that the Quran illustrates the case. If impact of a work counts, the Quran we know created history and new civilization. If readership or recitation counts, it is amongst the most read, most memorized, most recited works. If inherent linguistic and literary excellence counts, it is, by almost universal consensus amongst the best scholars of Arabic language and the Quran, a feat that we ordinarily describe as miraculous. If loftiness of themes, polyphony and polysemy count, it impresses in the same way that other sacred scriptures impress. Countless commentaries have been written and keep coming. The best minds from philosophers to Sufis to poets to scientists have been struck dumb by it and they have joined in the great tradition of commenting on it. Some of the most influential modern minds including psychologists like Jung have also joined in this group by commenting on certain verses or chapters. From Nietzsche to Derrida we see glowing tribute paid to the aspects of legal, mystical and philosophical culture inspired by the Quran. Heidegger, arguably the greatest figure in twentieth century philosophy, deemed himself a philosopher in the Arab tradition of philosophers. In previous centuries literary giants from Carlyle to Goethe have been struck by the Quran. If speaking to – rather shaking – depths of our being is a criterion, its power is too well known to need a comment. If inimitability is the criterion, we find that from its contemporary Arab poets to James Joyce in Finnegan Wake, attempts to dilute the force of the claim of inimitability have patently failed. 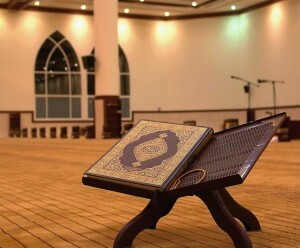 The Quran consumes the reader or the reader fails to read it. It transforms, it devastates as a great beauty devastates. Man’s salvation lies in getting ready for such a transformation. Great tragedy or poetry seeks to accomplish something similar. Who can refuse invitation to explore the science of the self or psyche (anfus) and the cosmos (aafaq) to which Al-Quran invites all? The Quran invites us to pay attention to ontological Quran, the text of flesh, blood, matter and soul that constitutes anfus and aafaaq. Who can finish exploring them? Who can finish reading the Quran this sense? Who can’t entertain Quranic invitation to take sensory experience, reason and history seriously as sources of knowledge? Who can have issues with the invitation to see all religions from Adam to Muhammad (PBUH) received through prophets as explicating one Deen – Al-Islam i.e., submission to Truth/Reality? Does Truth need any other certificate to claim our assent? The Quran doesn’t give a view or interpretation of truth that one could subject to certain ideological critique but asks man to submit to Truth not its particular truth but Truth as such wherever one finds it. Kufr is concealing the truth and who can approve of it? La Illaha Illallah, read with the help of illumined reason, contains the whole essence of metaphysics as Schuon has noted. 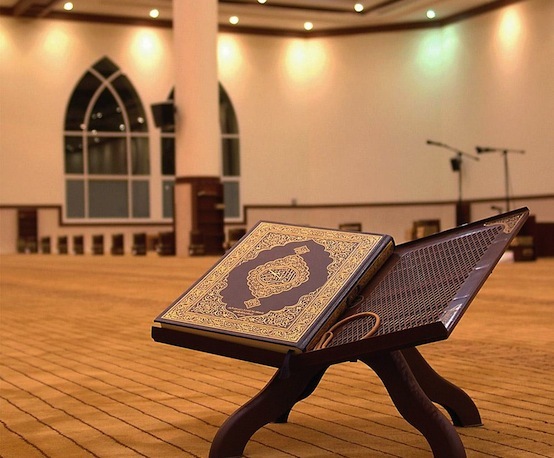 Read with the help of metaphysical, spiritual and esoteric commentaries the Quran is perfectly seen as the deeper voice of both our hearts and minds. Nothing that is revolting to reason or ethics can be in the Quran. The Quran convinces or saves by virtue of its appeal to Signs of God that are for everyone to contemplate in virgin nature, in rhythms of cosmos, in the music of our souls, in perfections we find everywhere getting embodied in life and universe. The best use of aql leads to a state that the Quran calls heaven. Only the knowledgeable fear God, the Quran declares? Now who can vote against these things? The Prophet’s mandate is to teach the Book (all books that are worthy of attention are in a sense in the Mother of Books, Ummul Kitab that is the epithet of the Quran) and love of wisdom (hikmah) and purify the souls. Aren’t all great teachers revered because we think they help us in achieving these three objectives? What the Quran calls faith in Al-Gayyib is understandable as respect for what Marcel calls mystery that is existence or life and what Stace foregrounds as depth dimension of things that refuses access to rationalist’s tools. Who is the fool to claim to have demystified the world or emptied it of wonder? Two of the greatest Muslim scholars of the twentieth century including Allama Anwar Shah Kashmiri once tried to experiment with changing or substituting a verse, a word, a letter in the Quran and investigate if it would change the overall sense and structure. Needless to say, the experiment failed. A good review of major points regarding the literary excellence of the Quran is in Hamza Andreas Tzortzis’ “An Introduction to the Literary and Linguistic Excellence of the Quran.” There are numerous books on Aijaz-i-Quran that cumulatively do make a strong case for engaging with the Quran for modern man. One of our greatest calamities is that we are disconnected from the Arabic language. Teach children Arabic and the Arabic Quran will, most probably, hook them for ever to its miraculous form and content. Hardly any preaching needed. Teaching the Arabic language is the antidote to alienation from religion we currently see in new generation. Ask schools you pay handsomely, for arranging for Arabic teaching. Most of us need to better our Arabic if for no reason than at least enjoying the Quran aesthetically. Faith will take care of itself.